A Teamup Calendar and a user account are two different things. Access your calendar through a calendar link. Access a user account through the login page. Teamup Calendar is a customizable and efficient shared calendar for groups. 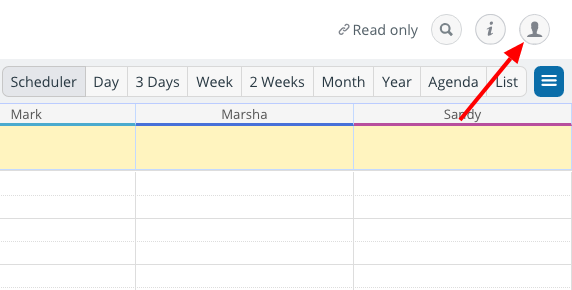 When you create a new Teamup Calendar, you start with a master calendar and can add multiple sub-calendars. You can share your calendar with others via calendar links without login or user accounts. Teamup recently introduced support for user accounts. A user account is optional and not required to access calendars. It brings additional features to your calendar experience: With a user account, you can save all your calendar links in your calendar dashboard. And a user account makes it possible to use event reminders. When you create a Teamup Calendar, you receive a calendar administrator link. You can open your calendar with your administrator link, go to Settings > Sharing, and create more calendar links. You can use these unique calendar links for sharing your calendar with individuals, groups, teams, clients, and for your own use. Opening a Teamup Calendar with a calendar link is an easy, one-step process: simply click on (or copy and paste) your calendar link into a browser, and the calendar will open. Or you can use one of the Teamup Mobile Apps: download the app, then copy and paste your calendar link in to open your calendar in the app. See full instructions and download links here. You can choose to enable password protection for any calendar link. If you are using a calendar link that has password protection, you click on or copy-paste your calendar link as usual. Then there is one more step: entering the password. 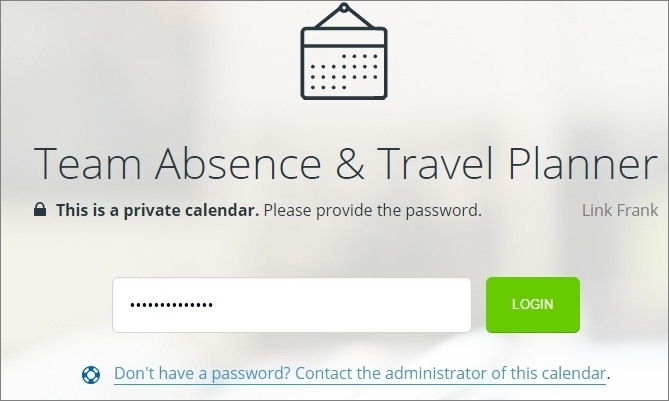 Enter the password on the access page to open your calendar. Enter your password, click Login, and your calendar will open as usual. Note that you do not need to enter an email address or user name; you simply enter the password for the calendar link. See full instructions here for enabling password protection, including how to change or reset the password for a calendar link. Only the calendar administrator can set or reset passwords for links. If you create a user account with Teamup, you will log into your user account on the login page. There is only one login page: www.teamup.com/login. The login page requires both your email address and password. This login page is only needed for user accounts; if you have not created a user account, you can still access your calendar using your calendar link, as you normally would. Once you log in to your user account, you can see your calendar dashboard and update your profile. When you access a calendar while you are logged into your user account, your user avatar will appear in the top right corner of the calendar. You will also see a green plus button on any calendar that you have not yet added to your calendar dashboard. When logged into a user account. you will see your own user avatar. A default gray icon for the avatar appears when you are not logged into a user account. 1. Click your calendar link so your calendar opens as usual. 2. See the default gray avatar in the top right and click on it. 3. Get sent to the user account login page! Now you might think you need to login to get back to your calendar. But you can only login if you have created a user account and only need to do so if you want to access your user account. To get back to your calendar, simply click the back button on your browser. You will be returned to your calendar. There’s no need to login. If you don’t have a user account and you want to create one, you can do so here. Remember: if you don’t remember having a password for your Teamup Calendar, you may be trying to access your calendar through the login page, instead of using your calendar link. If you’ve never needed a password for your calendar link before, you shouldn’t need one now. Use your calendar link to open your Teamup Calendar as usual. If you’ve lost your calendar link, contact your calendar administrator for a new one. If you are the calendar administrator and you’ve lost your calendar link, see how to retrieve it. If you do have a password for your calendar link, but you’ve forgotten it, ask your calendar administrator to reset your password. If you are the calendar administrator, open your calendar link as usual in a browser. On the calendar access page, follow the Reset password link to reset your password. See more information here. 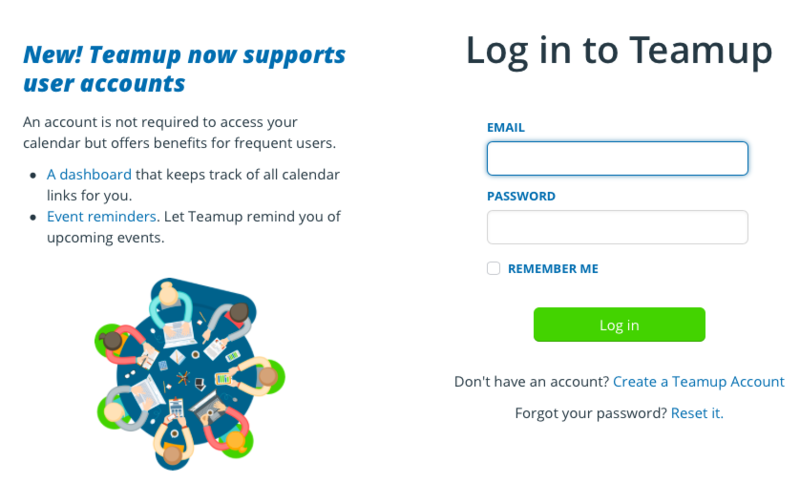 If you have a user account, you can login to it by clicking Login in the top right on Teamup home page, or by going to the login page directly: teamup.com/login. You will need to enter your email address and password. If you’ve forgotten the password for your user account, click the link on the login page to reset it. If you don’t have a user account, you can create one here. Once you’re logged in to your user account, you can save all your calendar links to your calendar dashboard. See more information here. To open a password-protected calendar link, you still need to enter the calendar password to access that calendar even if you are logged into your Teamup user account. 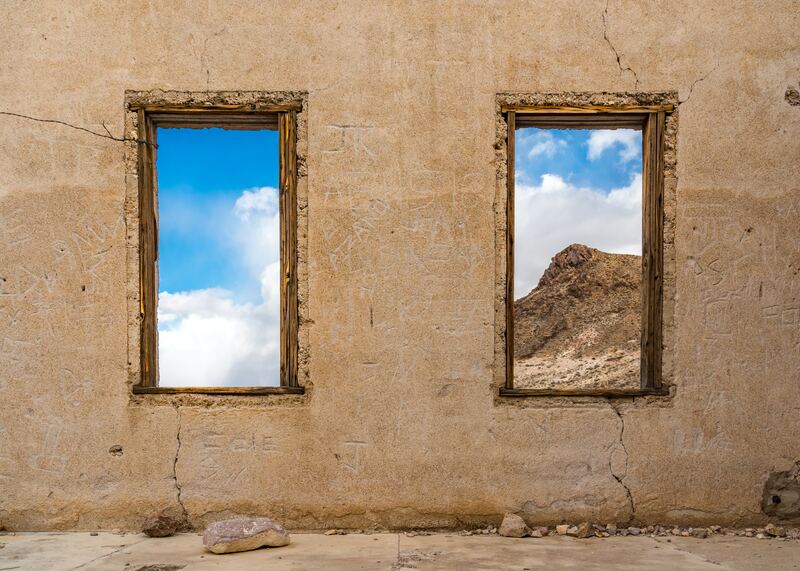 What’s the difference between exit and logout? Header photo by Tanya Nevidoma on Unsplash.